Lagos, Nigeria | AFP | More than 3,600 people have been killed in clashes between farmers and herders in Nigeria since 2016, Amnesty International said on Monday, blaming the government’s failure to punish the perpetrators for fuelling the violence. The international human rights organisation said more than 2,000 were killed in 2018 alone, while the bloodshed had made thousands of other people homeless. It said that of the 310 attacks recorded between January 2016 and October 2018, 57 percent were in 2018 and were most frequent in Adamawa, Benue, Kaduna, Taraba and Plateau. “Security forces are often positioned close to the attacks, which can sometimes last for days, and yet have been slow to act,” it said. “The Nigerian government has displayed what can only be described as gross incompetence and has failed in its duty to protect the lives of its population,” said Osai Ojigho, Nigeria’s director of Amnesty International. “Our research shows that these attacks were well planned and coordinated, with the use of weapons like machine guns and AK-47 rifles,” Ojigho said. “In some places, because of the failures of the security forces, competition over resources is used as a pretext to kill and maim along ethnic or religious lines,” she said. The Nigerian army on Monday rejected the Amnesty report, accusing the global watchdog of “unfounded allegations against the leadership of the Nigerian military”. Army spokesman Sani Usman said in a statement that Nigerians should ignore the report which he said was intended to “destabilise and dismember” the country. “The Nigerian Army has no option than to call for the closure of Amnesty International offices in Nigeria, if such recklessness continues,” he warned. 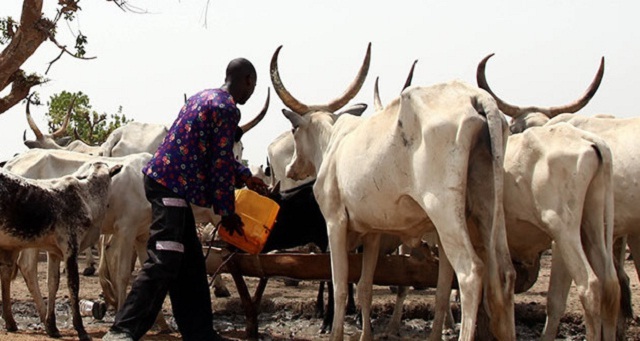 The farmer-herder violence is putting further pressure on President Muhammadu Buhari, who is battling a nine-year insurgency by the Boko Haram jihadist group in the northeast. The 76-year-old retired general has come under fire for his inability to end the country’s security challenges as he seeks a second term in February elections. Boko Haram has stepped up attacks on farmers and loggers in recent months, accusing them of passing information about the group to the military. In the latest attack, four farmers were shot dead as they slept in rice fields in a village outside the Nigerian city of Maiduguri, survivors and local militia said on Monday. Last month, the insurgents killed nine farmers and abducted 12 others in Mammanti village, near Maiduguri.